Choosing Studio Cables for your Home Recording Studio doesn't have to be a chore. I have personally tried many different brands and styles, including those from Monster, LiveWire, Planet Waves, DiMArzio, Horizon, and Radio Shack. The cables listed below are the ones that I can personally speak to since they are the ones I use in my own setup. I chose them because they are inexpensive, good quality, and have a lifetime warranty. You see a lot of LiveWire brand cables because I personally like them, not because I work for them or get a kick-back. 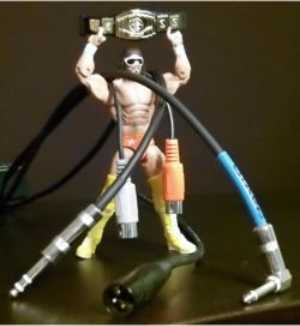 But they're the only cables strong enough to keep the Macho Man from dropping his patented Big Elbow Drop from the top rope. 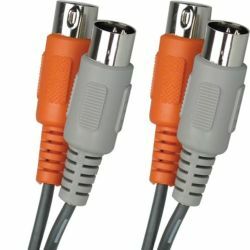 This is the most common type of cable you will need in your home studio, but with the added twist of an angled connector. Great for providing strain relief on tight connections. Bending your studio cables at extreme angles will wear them out quicker and in some cases break them. 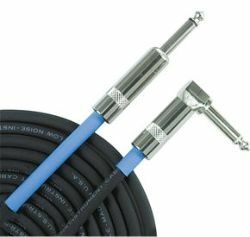 These unbalanced 1/4" cables are good quality and can be used as a patch cable or as a standard connection from a variety of instruments including keyboards, guitars, and basses. You'll need a bunch of these and you can't beat this cable for the price. 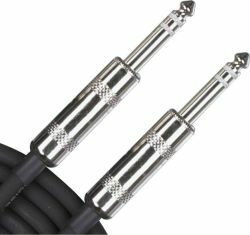 Live Wire Advantage Mic cables are a great value. They have more than enough strength and durability to withstand your everyday use at home. And all LiveWire products have a lifetime guarantee which I think is pretty rad... you just send it back and they ship you a new one. These are recommended as the output cables for both condenser and dynamic microphones as well as from direct boxes or signal processors that have balanced outputs. I'd also say that anything from your mic will need to be at least 15' to prevent you from ending up tangled worse than Randy Savage above. The length for DI boxes or other units' output can be a bit shorter (~5') because you won't be moving around them as much. This is a balanced 1/4" TRS cable. The only place I use these in my studio is from my FX processors to my Audio Interface. Some of your gear may recommend a balanced cable, so try one out in your setup to see if it makes a difference. Remember that XLR cables are also balanced connections so that is another alternative for consideration. Finally - these cables are usually about 2x the cost of their unbalanced brothers, so maybe try one out to hear the difference before buying a whole set. 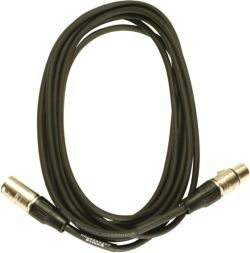 Good quality MIDI cable that can be used with synthesizers, drum machines, etc. These particular cables from Live Wire are joined together to make a transmit / receive pair, which helps to keep them from getting tangled. This was something I wasn't expecting when they arrived, but after using them in my studio I'm hooked. No more getting your cables criss-crossed (make you jump! jump!) in a jumble behind your heaviest or most awkward piece of gear. Because we all know that left to their own devices cables seek out the single most inconvenient spot in your whole setup. These also come in longer lengths than some other brands so that you can get connected to that interface on the far side of your studio.